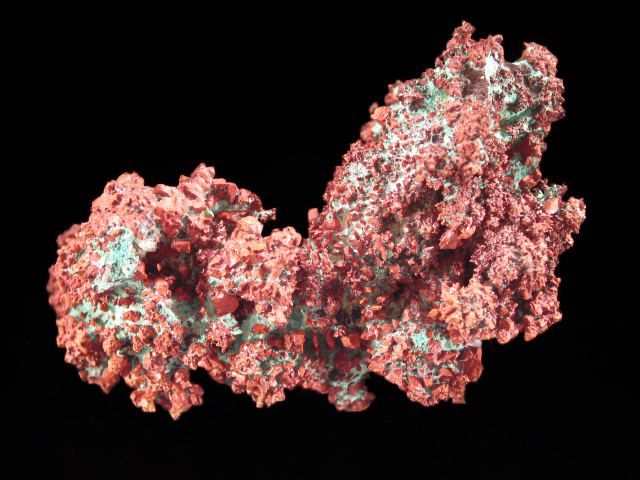 A cabinet sized specimen of copper from Peru. 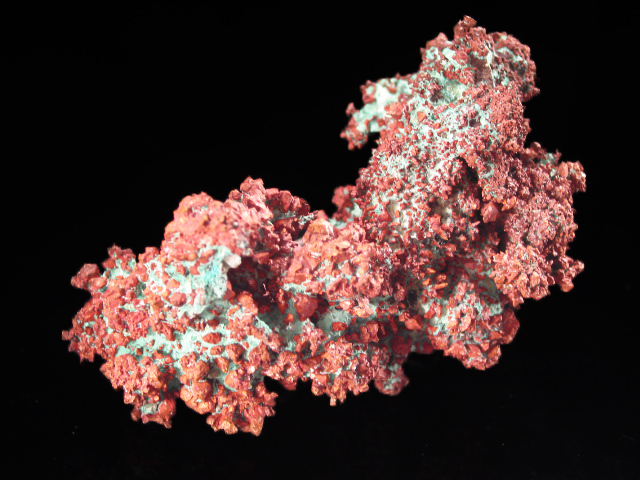 The quality of the crystallization varies from poor to medium, but this is an exceedingly rare example of Peruvian copper. 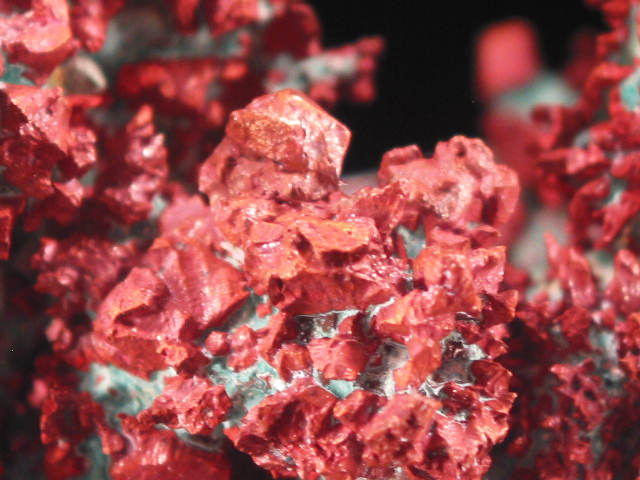 For a country that lies next to one of the most prolific copper producers in the world (Chile) and which produces a fair amount itself, the native element is absurdly difficult to find. As an indicator of scarcity, Mindat only shows a single picture. This one has a nice patina-- I saw a couple unprepared ones-- they are basically just masses of copper in some chalky material that has turned green from copper leaching through it. This one must have been cleaner to begin with, because the copper has a patina-- those completely encased in the chalky material that they are etched out of show the high luster that is a telltale sign of acid exposure.